We support the Australian government’s efforts to engage the Australian community in helping refugees to resettle and integrate in Australia through its launch of the Community Support Program (CSP). However, the current program has a number of features which inhibit its potential to leverage the capacity and generosity of individuals and organisations in Australia to provide humanitarian protection to those fleeing persecution. We know that Australians are willing and able to be more involved in supporting refugees into our communities, and believe the government should make changes to allow for this generosity to be utilised. The initial program size should be 5,000 places per annum, growing to 10,000 places per annum over the next five years. These places should be additional to those provided by Australia’s humanitarian migration quota. These should include those in most urgent need of resettlement as identified by the United Nations Refugee Agency (UNHCR), as well as those seeking family reunion in Australia and those who Australian employers may wish to sponsor. Priority should be given to UNHCR-referred candidates and employability should not be part of the eligibility criteria. 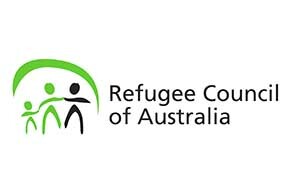 Those individuals wishing to sponsor refugees should do so as a collective ‘sponsor group’ under the auspices of a registered non-profit organisations, including incorporated community associations, local councils, religious organisations and Approved Community Organisations (ACO). The concept of community sponsorship involves the sponsoring community organisation covering the cost associated with a refugee’s initial stages of settlement, as well as airfares and medical checks prior to departure. Sponsor groups under the auspices of an ACO should be expected to raise funds to cover the costs for refugees for the first year of living in Australia. This should include costs for food and living expenses, rent and initial costs to make a new home in Australia. To ensure people do not experience hardship, sponsored refugees should have access to Centrelink (including rent assistance). Sponsors should be responsible for providing settlement support for the first year of settlement. However, sponsored refugees should have access to all other social services, Medicare, English language tuition and education, on par with other resettled refugees through the Refugee and Humanitarian Program. These costs should be borne by the Australian Government. Adoption of the above fundamental principles could allow Australia to develop a world-renowned community sponsorship program at minimal cost to the tax-payer. In doing so, Australia could enhance its humanitarian response to forced migration significantly and in a way which would facilitate the efficient and deep integration of refugees into the Australian community. It would also provide an opportunity to leverage the compassion and generosity of Australians to meet Australia’s international responsibilities to support refugees in need of protection.